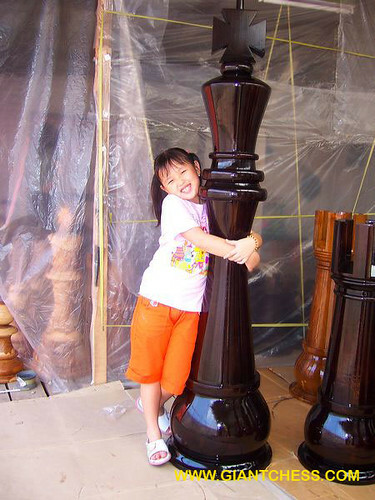 This is 72 inch chess piece that made from best quality of Teak wood. It has carved beautifully by good craftsman and polished in good quality. Looks so elegant in black color and glossy touch, make it perfect for use as decoration. You can put it at your garden area, camp area, hotel, playground, school, library, villa, beach and other interesting place. Mostly, people like to put this large size of chess piece at outdoor because they have been consider its size which need enough space. Do not worry about the damage although you've put it outdoor, because we made it from the strongest wood that durable in any seasons. Our products have prepared for outdoor use, so the quality and size have been prepared. Order it now and get it in good prices. We have shipping to many countries and all of our customers feel satisfy for the products. Now your turn to make a sense in your home.